Growing up, pancakes were always one of our essential, “what’s for dinner?” meals (and breakfast too of course!). My mom has the best pancake recipe around (biased, I know!) and she could whip up a quadruple batch of pancakes for us kids in under 15 minutes (minus the time to cook them on the griddle). 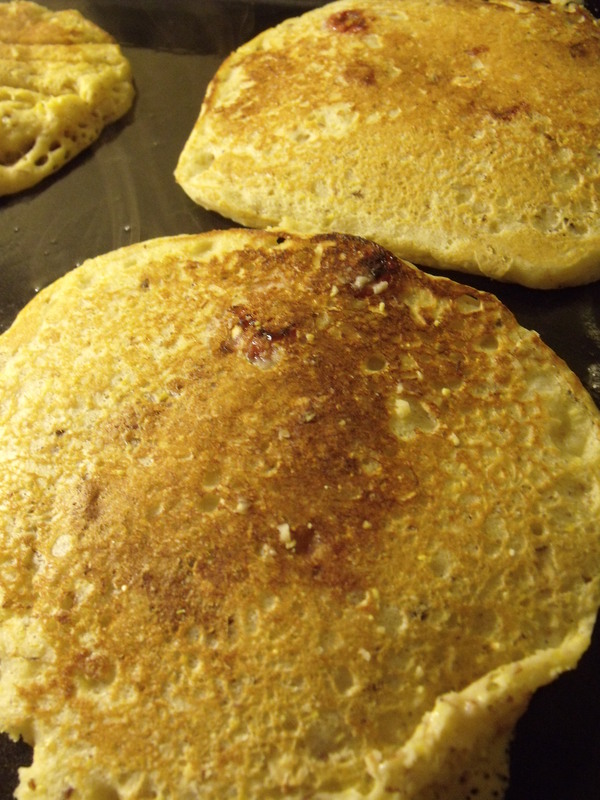 I will post that delicious basic pancake recipe sometime soon, but today I have my second favorite recipe – Good (Cheap) Eats Multi Grain Pancakes. One thing that is important to remember about these pancakes is that all the added ingredients tend to make them not stick together quite as well during cooking because they are heavier – this can make them hard to flip. I usually try and wait for them to get pretty solid before I flip them. In large mixing bowl, combine dry ingredients, whisking to combine. In other bowl, combine wet ingredients. Add dry ingredients to wet ingredients and stir just until mixed. Some lumps are okay. 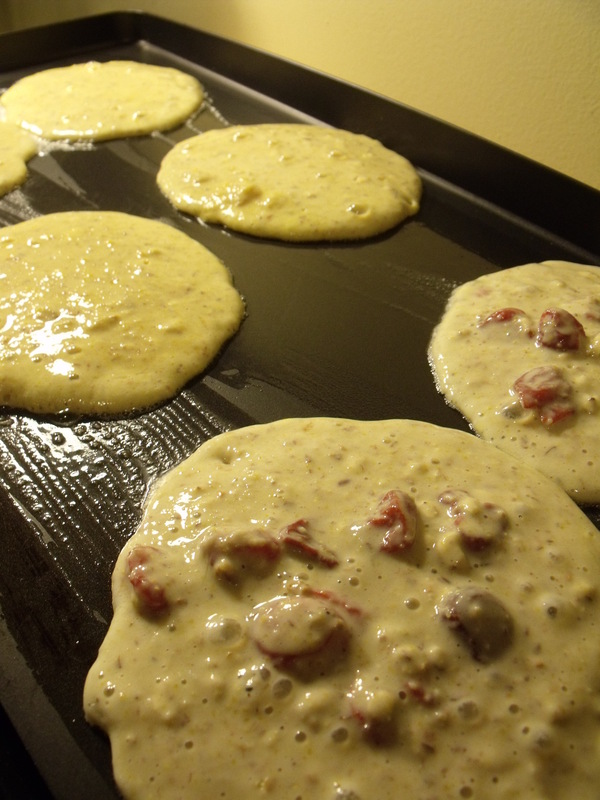 Fry on hot, buttered griddle until brown and cooked through. These pancakes are great because the add-ins are unlimited. I usually add in some ground flaxseed and some wheat bran/germ. You could also use all white whole wheat flour or experiment with other (non-wheat) flours. I was going to grind up some buckwheat in my blend-tec for these ones, but I was pressed for time. I find that they are especially delicious with berries added in – this time I split the batter and used up leftover pumpkin puree and cherries I had from Pumpkin Muffins and Cherry Bread. 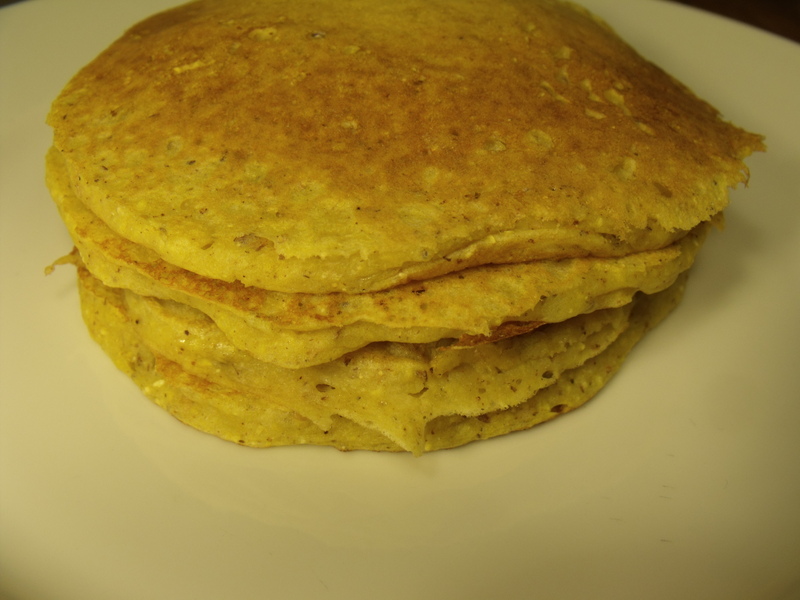 For the pumpkin pancakes I also added a sprinkling of cinnamon, nutmeg, ginger, and ground cloves. For the cherry pancakes I drained the cherries and just added them to the batter. ← Great Northern Bean Soup – aka “It’s Still Snowing Up North Soup”!